In 2012, Jefferson’s Bourbon founder and master blender Trey Zoeller partnered with OCEARCH founder, Chris Fischer. OCEARCH, a globally recognized nonprofit dedicated to the study and tracking of keystone marine species such as great white sharks and tiger sharks, to test out a theory. 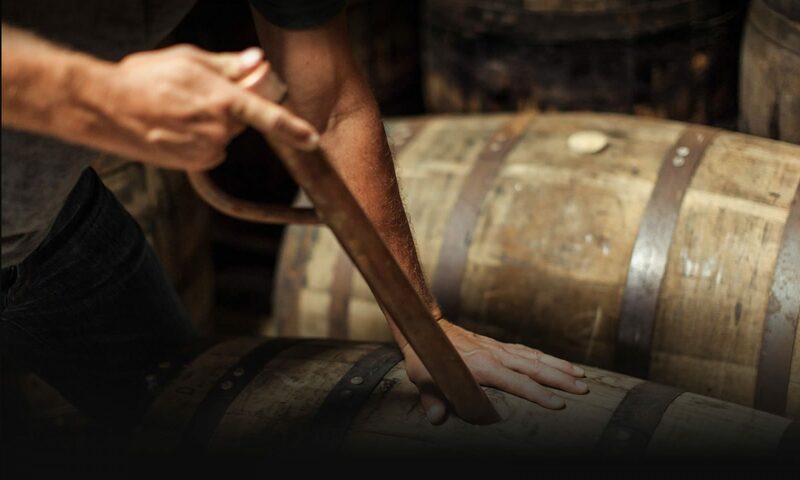 With the idea that constant movement of the liquid in the barrels ages the whiskey faster because more of the liquid is in contact with the wood more often, Zoeller strapped five barrels of Jefferson’s bourbon to the MV OCEARCH, a 126’ Cat-powered vessel that serves as OCEARCH’s mothership and at-sea laboratory. Currently, the MV OCEARCH is carrying four barrels of Jefferson’s bourbon and embarks on seasonal expeditions, to gather data on the ecology, physiology, and behavior of sharks in the North Atlantic Ocean, and to increase the sample size of the Great White Shark research. OCEARCH believes that protecting our oceans begins, by defending the animals which governs its food chain. As a recognized world leader, OCEARCH generates critical scientific data related to tracking (telemetry) and biological studies of keystone marine species such as great white and tiger sharks, in conjunction with conservation outreach and education at a measurable global scale. In a collaborative environment established by Founding Chairman and Expedition Leader Chris Fischer, OCEARCH shares real-time data through OCEARCH’s Global Shark Tracker, inspires current and future generations of explorers, scientists, and stewards of the ocean, and enables leading researchers and institutions to generate previously unattainable data. OCEARCH has completed 28 expeditions, worldwide, as of April 2017. Research expeditions are conducted aboard the M/V OCEARCH, which serves as an at-sea laboratory. The M/V OCEARCH is powered by Caterpillar engines and offers a 75,000 lb. capacity hydraulic platform designed to safely lift mature sharks out of the ocean for access by a multi-disciplined research team to conduct 12 studies in 15 minutes. OCEARCH has partnered with 157 researchers from 83 regional and international institutions. Over 50 research papers related to OCEARCH generated data are completed or in process. Data gathered on a 2014 expedition to the Galapagos enabled the Galapagos National Park Directorate to ban Long-line fishing within the Galapagos Marine Reserve.